Tell us about journey into sales. What attracted you to join Zailab? The ability to build something in the U.S. from the ground up with no encumbrances on us from product to process. A highly differentiated product that allowed for disruption in the market. The DNA of the company includes both skilled product development and humility to give back to the community. How different is selling Marketing and Sales technology products compared to other technologies, for instance, IT SaaS and Cloud? There are common disciplines to selling anything. In my opinion, you work backward from where you want to finish. You need to build out your pipeline to support your goals, including close rates, etc. I do believe in a mix of analytics and personality when it comes to sales, and using that analytics as well as a differentiated offer to enhance your ROI, value, etc. One of the strengths of selling cloud is the innate ability to have a CapEx vs. OpEx conversation. If not Sales, which other roles would we have most likely found you to excel? I have always loved sales, particularly Channel Sales. I have never thought about doing something else. Interacting and relationship building is something I have always gravitated to it would have to be in a field where relationships are key. Tell us how you achieve Marketing-Sales alignment for Customer Success at Zailab. Our VP of Marketing, Marya Dzmitruk, and I are practically tied at the hip. She is a part of all of my team meetings and we continually share ideas and advise each other. There is not a day that goes by where we don’t talk to each other about our customers and partners. How did your role at Oracle and BlueJeans prepare you better for the current role? When I went to Oracle, I did so to get reacquainted with a direct role. I was in the Channel for many years and was asked to jumpstart a team within the company. It confirmed my love for channel sales and I was actually headed back into the channel at Oracle before leaving for BlueJeans. There I needed to build a channel in what was a traditionally direct atmosphere. It necessitated a blending of the two sales forces and the ability to manage channel conflict, which can be challenging for many companies. When I approached Zailab with a 100% channel model, the team was on board with my rationale for not building a direct sales force. We went that route and I believe it will serve us well. On a scale of 1-5, how would you rate your understanding of the current SalesTech landscape? How do you plan to contribute to the salestech ecosystem? I would give myself a maximum of 3! There is always more to learn in any field and I am open to that. My experience will allow me to contribute to the ecosystem by sharing ideas and answering questions to help others sidestep some of the mistakes I have made in my journey. While mistakes allow us to grow, avoiding them leads to a different type of growth. What were the most challenging situations and instances in your career as a Sales leader? How did you deal with them and what lessons did you learn from them? The greatest challenge is delivering tough news to anyone knowing it will affect them and the families that depend on them. I have and will always deal in facts and truth. You must deliver all news– whether positive or negative, in a timely and respectful way. Over the years I have learned that delivering challenging news to anyone must be done with sensitivity and from a fact-based position. I can put my head on the pillow at night knowing that I did what I could in those instances from a business perspective, but also with compassion. What is the “Customer Success culture” that you represent or follow? Why is it important to build a sales-focused culture for any business for better customer success? I believe in making decisions with your customer in mind. Remember in some of my earlier comments I said work backward from where you want to end? I do the same with respect to building processes for our partners and customers. I focus on the CX and how I like to be treated in sales and customer service scenarios. I work with the team to emulate that behavior and always try to get to “yes”. If you can’t get to “yes” you may win the argument, but you will lose the customer. I see that as the ultimate loss. Those experiences are shared with way too many people for you to be successful in the long run. I would much rather give up something for the good of the relationship and reap the rewards of a satisfied customer for years to come. How do you achieve this culture-balance at Zailab or elsewhere? What percentage of this is driven by the application of technology, reporting tools and coaching? As with anything, there is a lot to garner through analytics and reporting. However, there is no substitute for human intervention and coaching. I would use the analytics to see patterns of behavior and use coaching where appropriate to change or enhance performance. How do you leverage AI and automation at Zailab? The ability of our solution to become smarter through usage is an amazing tool to enhance CX. We leverage this to enable customers to make the best connections to agents in the quickest fashion. In doing this, we allow for improved customer service and first call resolution, for both sales and customer service scenarios. Which Sales tech Automation platforms and tools do you use? How do they make your work easy? We are currently evaluating cloud-based CRM tools to enhance our performance. We have outgrown what we have and will be implementing this month. The investment will handle CRM, Marketing, Partner Portal, etc. We will combine this with a recent investment in DiscoverOrg to drive leads to our partners to further our proof of a 100% channel commitment. I love any automation tools that allow for my team and I to easily keep track of prior conversations, partner performance, customer buying patterns, and so on. I believe the more information you have equips you for better decision making. How do you promote Sales Coaching to empower your sales teams to deliver on the performance targets? I measure the team through a series of Managed Business Objectives, (MBOs). I look for the critical activities necessary to reach our goals. Each team member knows what they must do to meet those MBOs. If there is a lack of activity to meet the necessary goals, I coach them on how to reach them. I also spend time in the field with the team and assess their performance in front of partners and customers and give honest feedback – both good and bad. I ask them to do the same of me as team feedback is as important as my own. 360-degree feedback which includes our leaders, peers, teams, and partners, gives us the best view of ourselves. What are the major pain points for sales-driven companies in leveraging Programmatic technologies for their own benefits? I think it is the inability to openly assess technologies that differ from their core beliefs. Sometimes people have the tendency to formulate the answer before being open-minded to all offers. What are your predictions and observations on the “Role of Chatbots and AI Conversations” influencing sales journeys? I find bots to be frustrating in certain scenarios. Maybe it is my own preference, but if I choose to participate in a chat it is because I want to chat with a human. When I get canned responses, my customer satisfaction goes down to zero. In many cases, I end the chat and my interaction with that company. I try to use this in my sales philosophy. If you do not allow people to purchase in the way they wish, they will find a company who will. Therefore, I always keep my eyes open for partners that differ in their approach so that customers wanting to purchase Zailab’s solution can do so in any way they choose. Technology moves so fast that you can’t fully prepare for it before it changes again. I am excited to see what is in store for us as we progress because the notion of a solution learning and getting smarter over time opens up a lot of possibilities. Focusing on the future is key for us as leaders. Great leaders have a vision and being open to change is paramount. I will continue to prepare by being open-minded and continuously learning as I go. I attend anything related to channels, CX and AI. It depends on my schedule, but I do my best to attend a variety of presentations to get a different perspective on what is happening in the industry. Listen to your customers. I know we have all heard how we should listen more, but it is true. Continually educate yourself. The changes are coming fast and furious and you should understand what’s next. Know your product well and that of your competition. You will be better for it personally and your customers will be better served by your understanding the differences and knowing how they benefit. Thank You, Michael, for answering all our questions. We hope to see you again, soon. Zailab is a cloud-based contact center platform that empowers sales, CX and marketing teams to have more rewarding conversations with customers. Our solution works for businesses of all sizes and is easy to set up and optimize. With Zailab, you only pay for the features you use, as you use them, without the monthly costs. 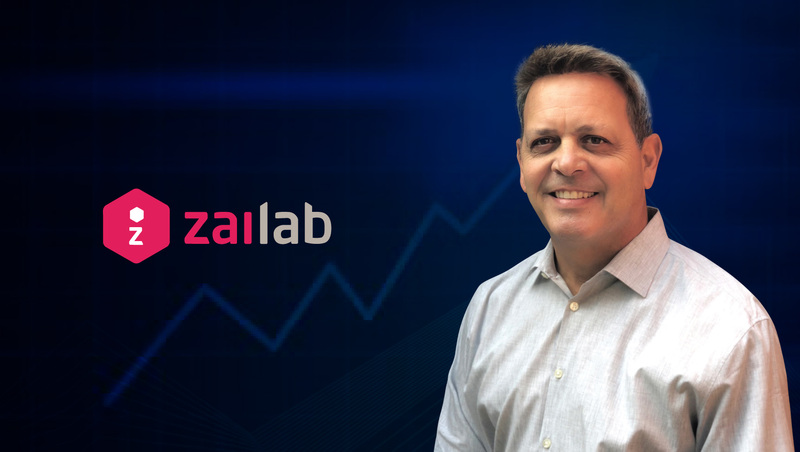 Michael Cibelli serves as SVP, Sales for Zailab. Having worked in the competitive channel landscape for more than twenty-five years, Michael has led various companies to channel success. 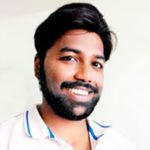 He is passionate about technology and its applications for business development.